I copied this from my Facebook. I really believe that everyone needs to be aware of this problem. "Okay, you know what. Public awareness. I am sick of being quiet. Here it is. Hubby has been having some issues. Issues that he has actively sought help for. Issues that rather than helping find a solution his command would rather punish. After taking two months to get a referral to see a psychiatrist, the one he was referred to is backed up until January 10th. I called TriCare to get them change it to another doctor. I know I can do that when I have too long of a wait. Nope, not the soldier. He has to get back into his primary care manager and wait for another referral to another backed up doctor. I won't give all the details of the last several days, some of you know. Let's just say it is bad. I was told tonight to brace myself. From a high ranking person that said they don't know anything but were just warning me. you and if you don't succeed then we will thoroughly destroy your life. Hubby is not alone. I have spent the day researching the issue. It is common. His immediate chain of command sees the problem. My civilian eye doctor told me horror stories today about the problem. I am so sick I cannot sleep. Not physically sick. Sick for all the soldiers that needed and sought help but could not and cannot get it. Yes, the Army has 'Suicide Awareness' but it is FLAWED!! It does not work and I have been saying that long before this last week. I just never thought it would come knocking on my door. There is no way to sort out users and those who need help. I think if a soldier is begging for help and not just waiting for their appointment that's 3 months away probably needs the help the most. So easy to throw them all away. So many gone for so many stupid reasons. 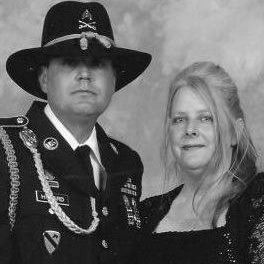 I understand downsizing, but US Army, is suicide REALLY the way you want to get rid of them? Oh and it's not just suicide. It's so much more. So many flaws that they need someone outside of the confines of command to look at and give an objective view on. They just don't see it from the inside looking out. Or from the top looking down." These soldiers are real people. See, here is the face of one soldier they are doing this to. He is quite real, I assure you. I know the soldier is a real person. I am the other one in the picture. Pretty sure I am real. Some statistics to make you wonder what's going on. 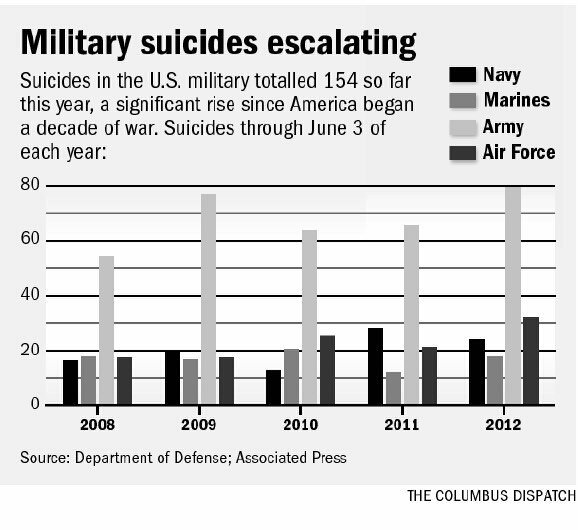 The 2012 active-duty suicide total of 154 through June 3 compares to 130 in the same period last year, an 18 percent increase. 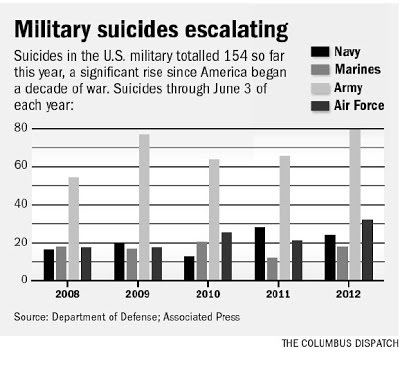 And it’s more than the 136.2 suicides that the Pentagon had projected for this period based on the trend from 2001-2011. This year’s January-May total is up 25 percent from two years ago, and it is 16 percent ahead of the pace for 2009, which ended with the highest yearly total thus far. Reference here. If any of you have faced this problem with your spouse or for yourself I would love to have your feedback.